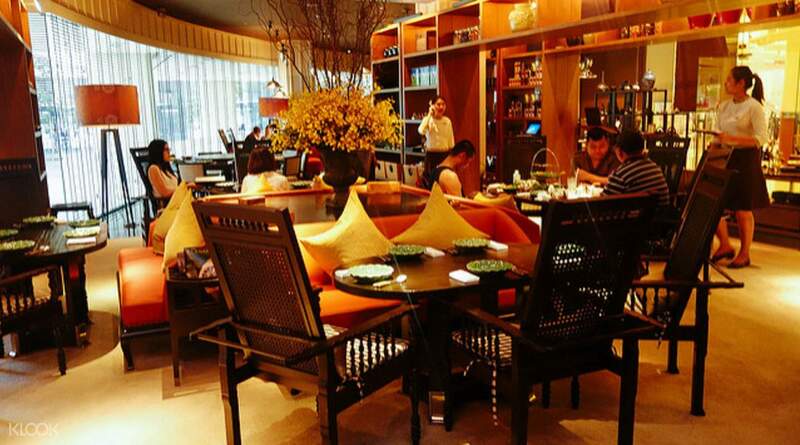 Relax and indulge at one of the best tea rooms in Bangkok! Glad that I purchased this voucher to try out the afternoon tea. The food was great! Worth the money paid. 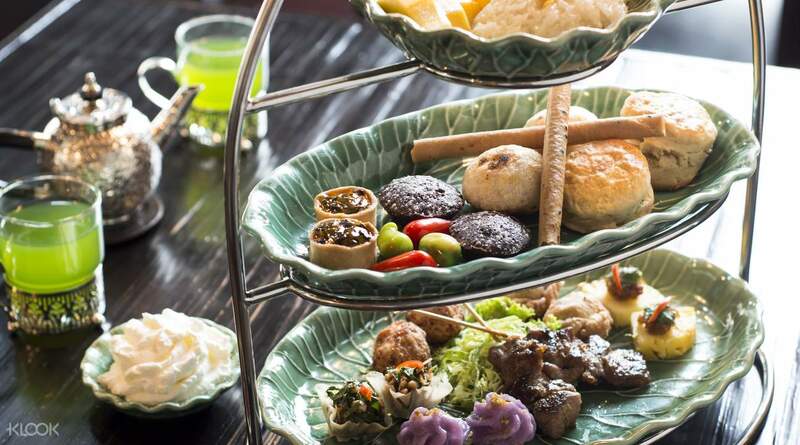 Treat yourself to an exquisite experience in Bangkok’s famous tea room - Erawan Tea Room at the Grand Hyatt. 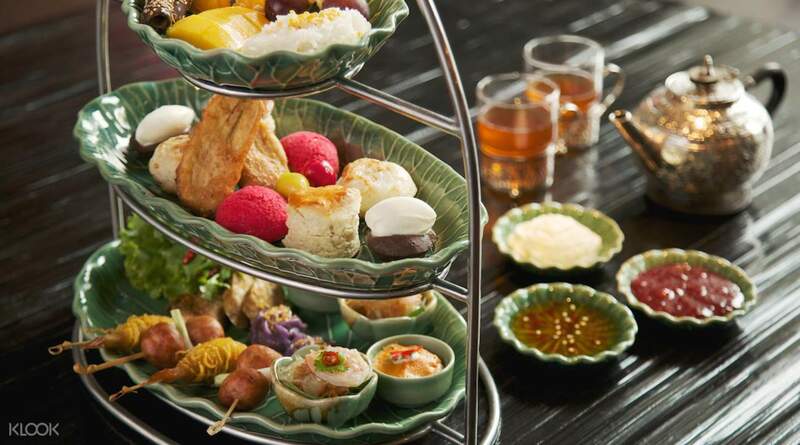 Selected one of the top 5 restaurants in Bangkok and “one of the world’s best high teas” by Lonely Planet, Erawan Tean Room invites you on a one-of-a-kind dining experience in the heart of Thailand’s capital. Take in the elegant interior fusion of Thai and Old World allure as you feast on a selection of delicacies from savory sausages and dumplings to sweet Thai banana fritter, chocolate Lamington and more! Enjoy this unique dining experience combining the best of Thai and western cuisine at a very affordable price and in elegant surrounds. I did find the whole experience enjoyable. Tasty snacks and drink, although I wish I spent more time reading the menu so I could have ordered a better drink that suits my taste. The location is easy to find and is near a BTS station. Inside is quiet and relaxing with cool ambiance. Staff was attentive. I would recommend. I did find the whole experience enjoyable. Tasty snacks and drink, although I wish I spent more time reading the menu so I could have ordered a better drink that suits my taste. The location is easy to find and is near a BTS station. Inside is quiet and relaxing with cool ambiance. Staff was attentive. I would recommend. Excellent experience to have a taste of Thai gourmet snacks with great Tea or Coffee, Cheap price for great environment and service, a Must Do activity in Bangkok. Excellent experience to have a taste of Thai gourmet snacks with great Tea or Coffee, Cheap price for great environment and service, a Must Do activity in Bangkok. What a nice afternoon tea! The food was so special and tasty. Highly recommended the Iced Thai Tea there!! What a nice afternoon tea! The food was so special and tasty. Highly recommended the Iced Thai Tea there!! Really wanted to try this hi-tea since I knew about it. Was really delighted to see Klook offering this promo. Transaction was really easy, u get to select the timing and number of patrons and pay for it in Singapore currency. Redemption was smooth, just show them the e-voucher on ur phone and u are ready to enjoy the hi-tea. Thai hospitality is at its best with Erawan Tea Room's staff. One of the floor managers (I think) was really helpful by offering to take our group photos and explaining to us which item we are eating. Not that it matters because almost every one is delicious! Will highly recommend this to anyone interested in a different style of hi-tea! Really wanted to try this hi-tea since I knew about it. Was really delighted to see Klook offering this promo. Transaction was really easy, u get to select the timing and number of patrons and pay for it in Singapore currency. Redemption was smooth, just show them the e-voucher on ur phone and u are ready to enjoy the hi-tea. Thai hospitality is at its best with Erawan Tea Room's staff. One of the floor managers (I think) was really helpful by offering to take our group photos and explaining to us which item we are eating. Not that it matters because almost every one is delicious! Will highly recommend this to anyone interested in a different style of hi-tea! Have A Great Day Thanks Klook!! Have A Great Day Thanks Klook!! Glad that I purchased this voucher to try out the afternoon tea. The food was great! Worth the money paid. Glad that I purchased this voucher to try out the afternoon tea. The food was great! Worth the money paid. Great experience! Value for money High tea session! Great experience! Value for money High tea session!